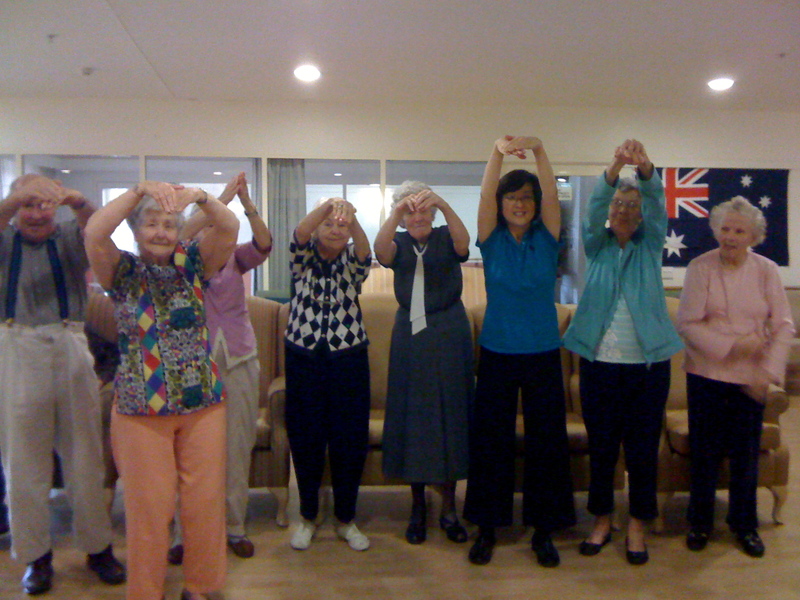 We teach Tai Chi Qigong and AccuMassage to dementia clients here in Sydney. The clients love the gentle movements, practising breath awareness, the mind stimulation following the various postures and feeling energised from the exercise. We have a few laughs and it is great to bring the group together during the hour. We all feel peaceful, loving and calm at the close of our time together. More brain news, this time from researchers in Sweden who have found strong links between dementia in ageing and exposure to risk factors throughout life. As the average age of the population in many countries increases, so does the occurrence of diseases such as cognitive impairment and dementia. A study team from the Karolinska Institutet, led by professor Laura Fratiglioni, discovered that the risk of developing dementia is partly determined by genetic susceptibility and that actively participating in mental, physical and social activities can preserve cognitive functions, thereby delaying the onset of dementia. Regarding the importance of physical activity, the researchers found that in addition to extremes of blood pressure (both too high and too low), diabetes and obesity in middle-age also enhance the risk of dementia in older age; ‘What is good for the heart is good for the brain’ she said.